Crush is a fantastic little children’s film. 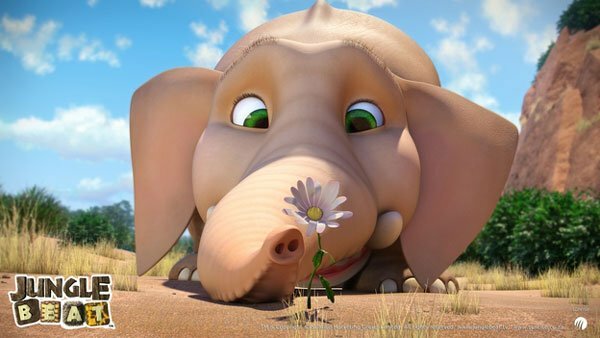 It is beautifully animated story about an elephant who goes to extraordinary lengths to revive a delicate little flower that he has accidentally damaged and is in danger of destroying. His efforts lead to more trouble and a whirlwind of bent trees and flying water, though everything turns out just fine in the end. It is a great mixture of slapstick comedy with a pleasing message. The animation is top notch CGI. Though Brent Dawes is credited as director and is senior Writer and director at Sunrise Studios in Cape Town, there is a small army of modellers and animators behind whose work is also fantastic. Crush is part of a South African television series called Jungle Beat, which features in each of its 26 episodes a different animated character. It is a testament to the quality of work done by Dawes and his team that Crush is able to stand alone (at a Film Festival too) as a short film in its own right.